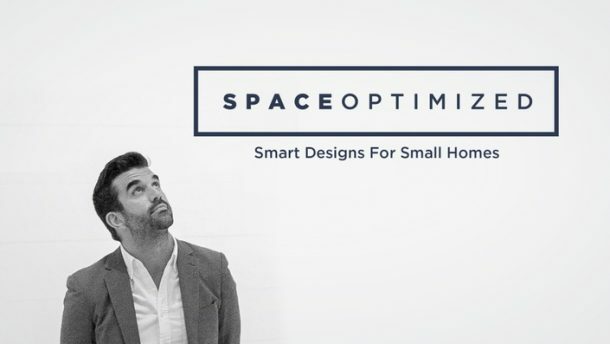 Nothing is more luxurious than space so to start: eliminate clutter in the bedroom because unnecessary junk cheapens the space. Instead of filling your microapartment with stuff you don’t need, extend your storage space. Curate your decors; pare them down to the essentials. 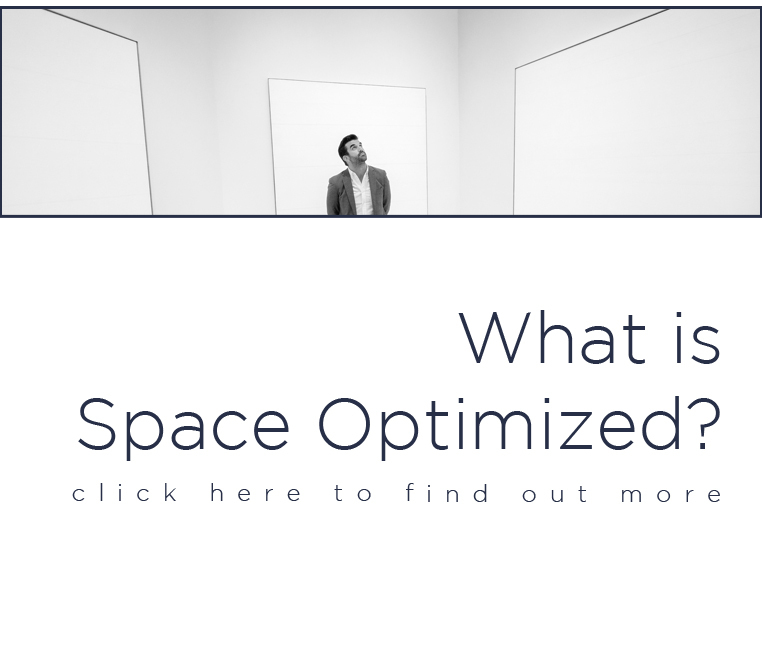 Extending your storage space makes the bedroom look less chaotic. I highly suggest investing in pieces that pull double duty, such as an ottoman with hidden storage, a pullout under-bed storage or a compact bench. All-white interiors could look too stark unless you are going for an ultra-minimalist look. To evoke elegance and coziness to your living space, add color to the walls. 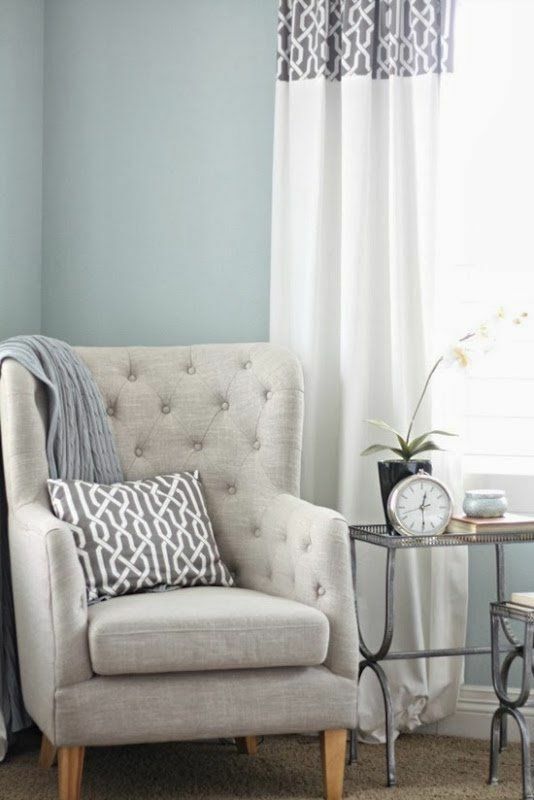 Pale to dark shades of gray, for instance, pair so well with white or pale interiors. Midnight blue, oxblood red, and olive green offer a striking contrast to neutrals! If your bedroom walls were painted white, you can incorporate elegant hues to your living space by adding color-coordinated decors such as pillowcases, rugs, and beddings. 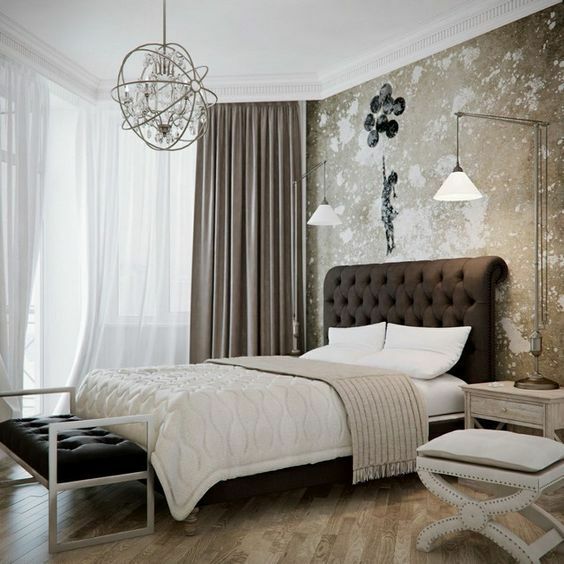 Don’t be afraid to incorporate a striking mix of finishes and textures to make your bedroom interiors pop. Nothing like a wink of sparkle to enhance your microapartment’s glam factor. You can incorporate metallic accents in the bedroom by choosing a blinged-out nightstand, framing the bed with mirrors, or putting decors in brass, gold, silver or rose-gold on display! 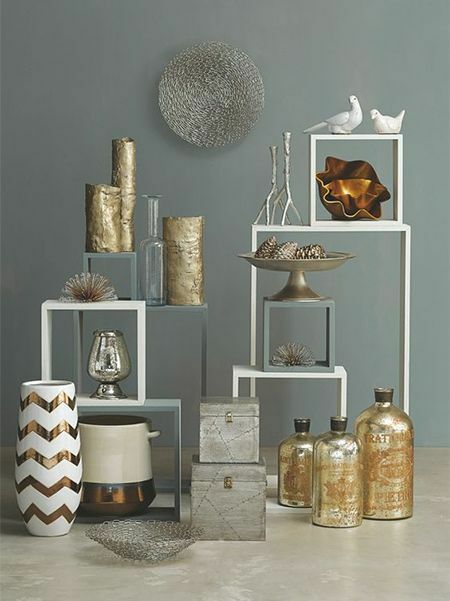 Mix and match different metallic touches with natural or textured finishes to showcase your eclectic style. Give the bedroom the wow factor it deserves by stepping up your headboard game. The eyes are naturally drawn to the bed because it’s one of the major pieces in the room. 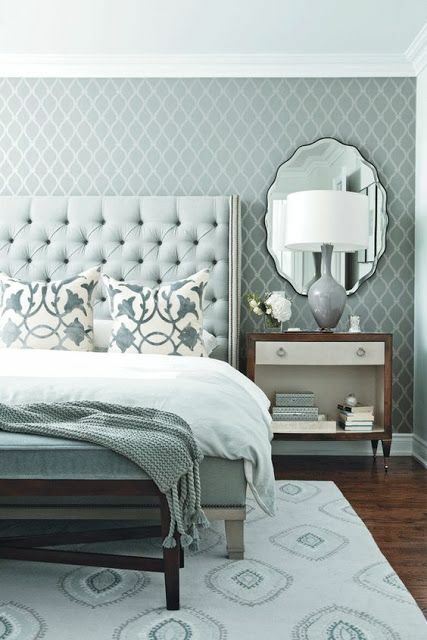 Make sure your bed is worth a second glance by investing on a standout headboard. If the budget allows, you can shop for an accent headboard, one that comes with a distinct feature such as eye-catching patterns, bold shade, or plush textile. On the other hand, you can make your own accent headboard to save money! Check out our tutorial. The tutorial does not require power tools so it’s the perfect weekend project if you’re trying to ease yourself into the #DIYlife. A seating area is bedroom feature often seen in hotel rooms. It adds quiet elegance to the room so if the space allows, build a stylish seating area near the bed. This is a great trick for maximizing odd corners, you’ll have a place to relax and read a book, etc. To create a modest seating area, add an accent chair or a bench, decorate it with a throw pillow or two, then add a side table. Finish up with a complementing rug + a stylish throw and your seating area is complete. There is something so luxurious about a carefully layered bed. It’s a great trick for achieving that cozy, lived-in look. For a decadent, professionally styled bed, you have to layer your pillows and beddings. Start with a neutral top sheet, layered with a quilt or a bedspread then pile on the pillows. Along with your standard sleeping pillows, add two to three smaller pillows. I highly recommend dressing your small pillows in fancy covers, such as faux fur, silk, maybe colorful ones in the shade that complements your overall color scheme. Arrange the pillows in a way that they don’t take up more than a quarter of the bed length so the bedroom doesn’t look busy with all that pillows. Finish up with a comforter or a duvet folded down the bottom of the bed! The right lighting gives any room a pulled together, designer look. 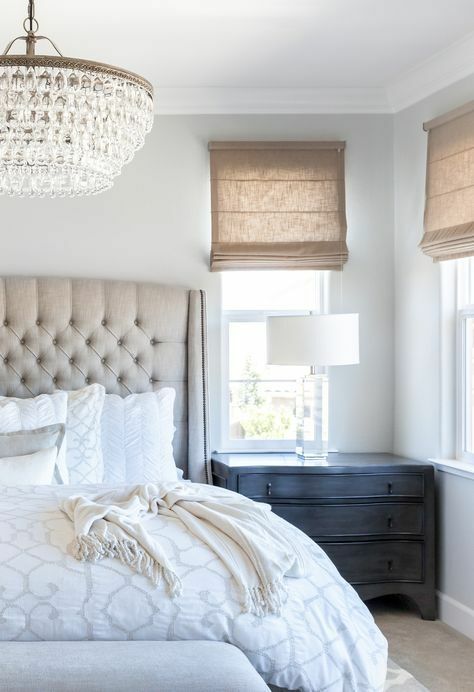 Give your old bedroom lamps an upgrade by switching to stylish lighting fixtures. Start by installing an eye-catching overhead fixture. Complement your stylish new overhead lights with drum shaded fixture or floor lamp. Layer your lighting with sconces, table or task lamp to lend a soft, comforting glow to the room.